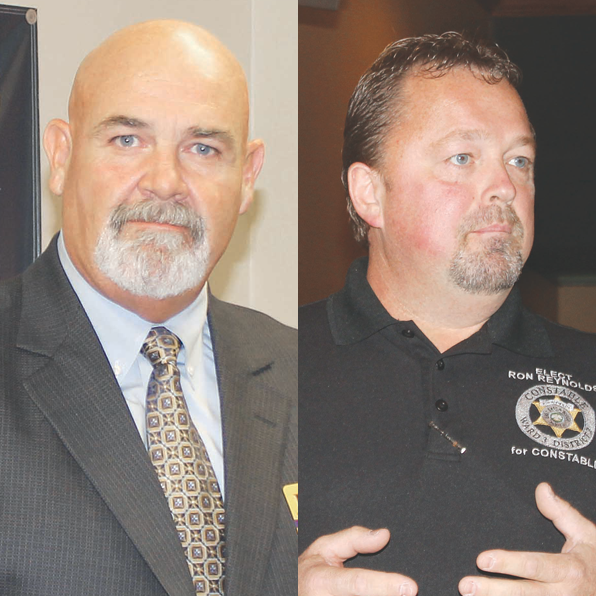 BATON ROUGE — The Justice of the Peace Court in Ward 3, District 2 has found itself getting unexpected attention as two Republicans wage a spirited campaign for the Constable’s job in the court. • Carey Jenkins, who served as United States Marshal for eight years. He was appointed by President George Bush. He served as Deputy U.S. Marshal for 15 years. He also served in the East Baton Rouge Sheriff’s Office for seven years. After retiring from the U.S. Marshal Service in 2010, he served as the liaison for the Sheriff’s office to the D. A.’s Office. • Ron Reynolds has resided in East Baton Rouge Parish for 40 years and served in law enforcement for 27 years. He earned his B.S. in criminal justice from LSU. He is married and has four-year-old. The mission of the Ward 3, District 2 Constable’s Office is to execute the orders of the Justice of the Peace, such as civil mandates, judgments, seizures, evictions and civil subpoenas.